Washington, April 2: Three Indian-origin consultants in the US have been charged with substantive visa fraud for submitting sham applications for the popular H-1B visas to gain a competitive advantage over competing firms. A federal grand jury last month indicted Kishore Dattapuram, of Santa Clara, Kumar Aswapathi, of Austin, Texas, and Santosh Giri, of San Jose, on 10 counts of substantive visa fraud and one count of conspiracy to commit visa fraud, the Department of Justice said in a statement. 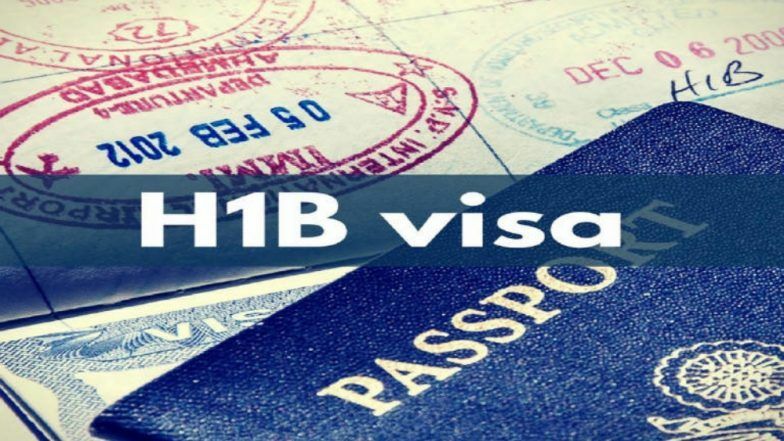 The H-1B visa programme, popular among Indian technology professionals, allows foreign workers to obtain temporary authorisation to live and work for employers in the US. To secure an H-1B visa, an employer or other sponsor must submit an 'I-129' petition to the United States Citizenship and Immigration Services. A petition and associated documentation must confirm the existence and duration of the job waiting for the worker, and describe key details including the wages associated with the position. H1B New Rule: White House Receives Proposal to End Work Authorisation for Spouses of Visa Holders, Thousands of Indians to be Impacted. According to the eight-page indictment, Dattapuram, 49, Aswapathi, 49, and Giri, 42 operated Nanosemantics, Inc, a Santa Clara-based consulting firm whose services included placing skilled foreign workers at software and technology companies in the Bay Area in California. They worked together to submit fraudulent H-1B visa applications on behalf of foreign workers in order to gain a competitive advantage over competing firms. The defendants allegedly used Nanosemantics to submit fraudulent I-129 petitions and obtain H-1B visas for workers that the defendants could later place at local companies. By maintaining a group of available workers, the defendants would gain a competitive advantage over consultants that properly applied for paperwork only after matching a qualified worker to and available job. According to the indictment, several of the I-129 petitions submitted by defendants stated that particular workers had specific jobs waiting for them at designated companies when, in reality, the defendants knew that these jobs did not exist. Further, the defendants allegedly sought the cooperation of third parties to conceal their fraud. For example, defendants allegedly orchestrated payments by Nanosemantics to at least one individual for permission to list his company as the employer for foreign workers even though Nanosemantics actually intended to place the workers elsewhere. Further, defendants allegedly coached foreign workers and others, to respond to government inquiries in a way that would prevent the government from discovering the fraud. The defendants were charged with one count of conspiracy to commit visa fraud and ten counts of substantive visa fraud. All three defendants entered pleas of not guilty and were released on bonds. They are next scheduled to appear on May 13 for a status conference before Judge Edward J Davila, US District Judge. If convicted, the defendants face a maximum sentence of 10 years and a fine of USD 250,000, plus restitution if appropriate for each violation.